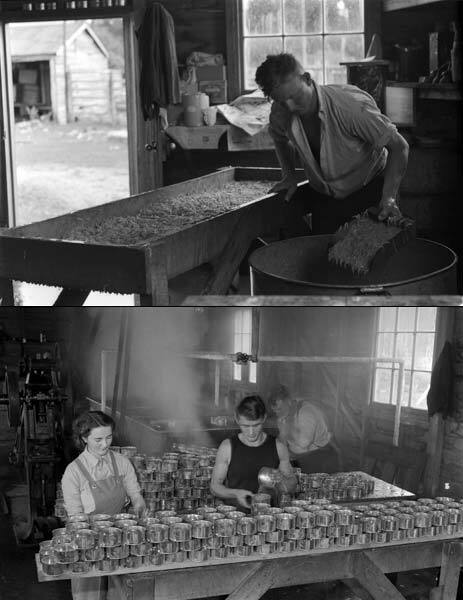 At the Nolan family’s whitebait cannery at Ōkuru, which ran from 1928 to 1952, whitebait were sorted (top) and then canned (bottom). Before the introduction of refrigeration, canning was the only effective way to preserve large quantities of whitebait. In its time the Nolan cannery was the largest whitebait cannery in the country.